Re: below, this has now been recovered byTerry Nutt when fishing. WELL DONE TERRY, ONE THAT DIDN’T GET AWAY! One of our members has had his rod and reel, etc pulled off his rest and into Preeswood pool on Saturday 16th Feb. If found, or maybe seen floating, our member would dearly like it back – so please get in touch with Terry Nutt [details on clubcard] and he will put you both in touch/help facilitate its return. After a gap of a few years, the Ted Cartright Trophy was fished for on Sunday 10th Aug at Preeswood Pool. Congratulations to the winner Geoff Perkins, with 38lb, 4oz. 2nd was Bob Parrish with 31lb, 5 oz; 3rd Roy Cooper with 20lb, 11oz and 4th was Liam Moore with 19lb, 4oz. 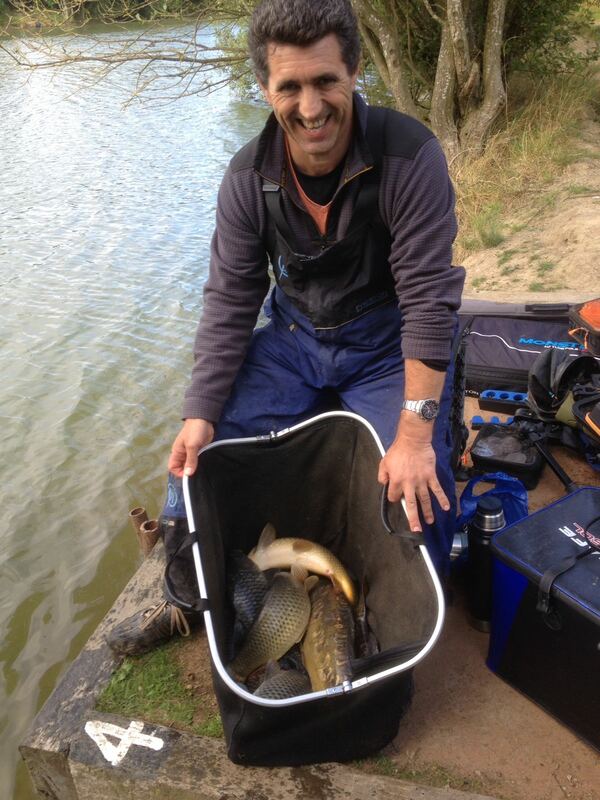 All bags consisted of carp in the 2-5lb bracket, the winning pegs being 4/12/9 and 10 respectively. Note. Ted Cartright was a founder member of the club. a/ For loan of a club water – which HAC is happy to provide. b/ If any club members have spare items of fishing tackle, would they consider donating them to the charity for re-use by youngsters wishing to start fishing. You can drop them off with Terry Nutt beforehand or bring them along on the day. b/ Some club members attend to assist with general advice/coaching on the day. 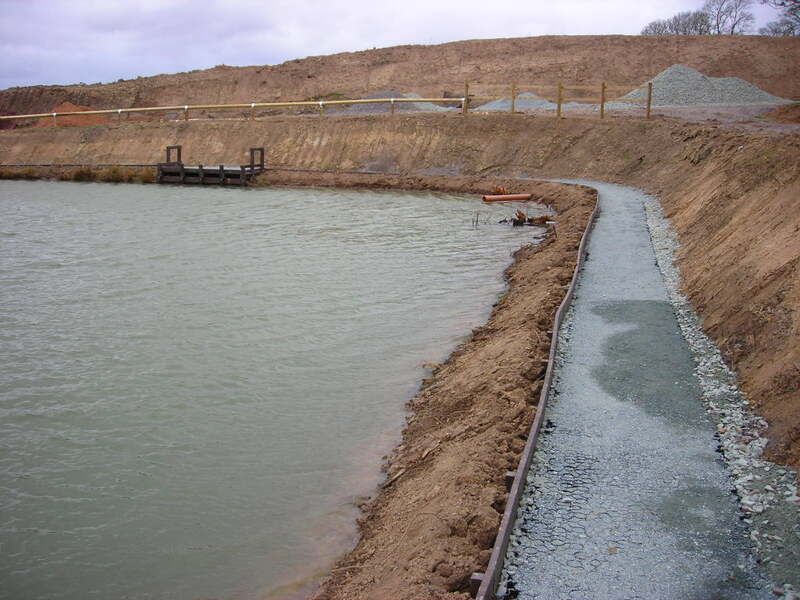 A spell of fine weather has enabled Martin to crack on with the work, and the scheme is entering its final stage. 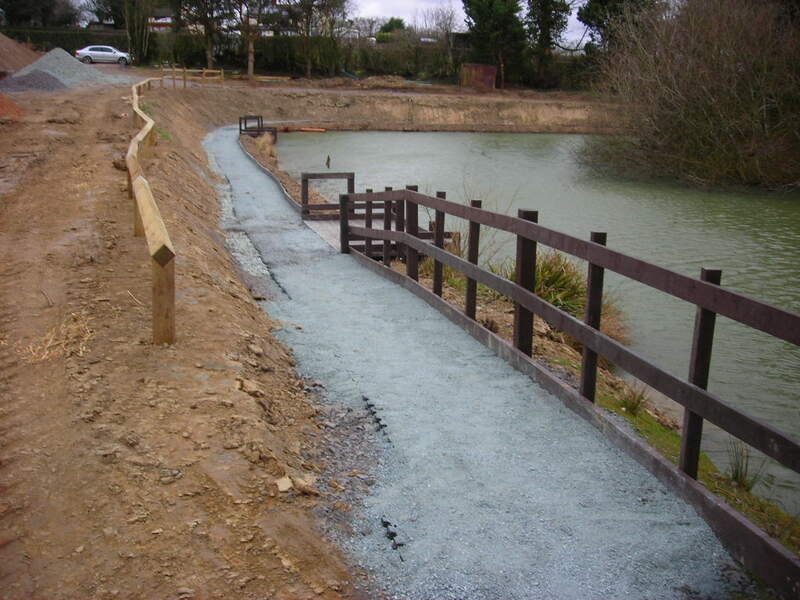 The poolside paths have been levelled and part surfaced, and the new easy access (disabled access) pegs built. The bank around the other side of the pool has been reduced in height/widened, making access to pegs that side easier too. 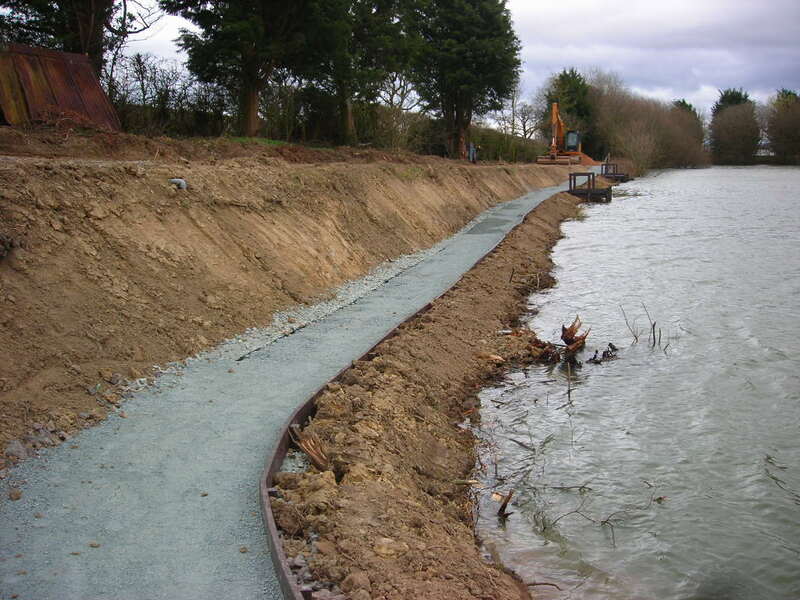 Work on the car park and approach paths plus construction of new pegs on the widened bank is proceeding. 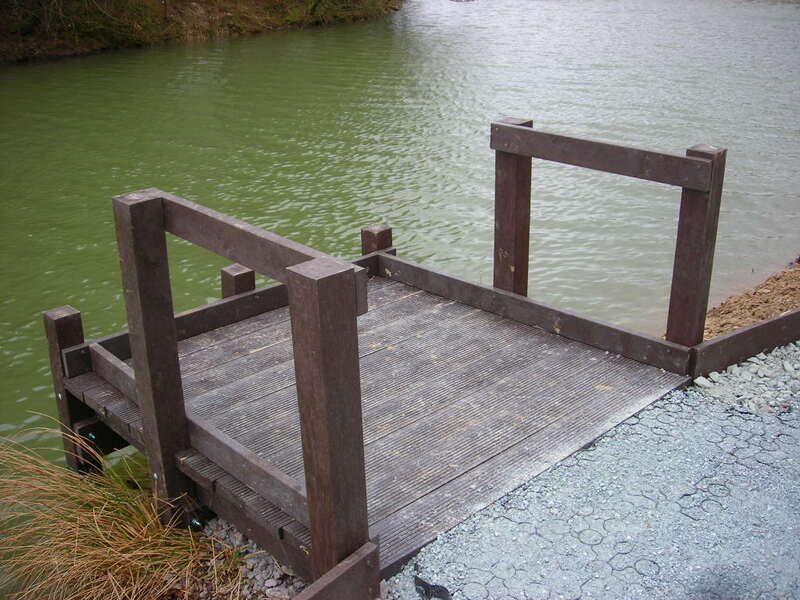 The pool remains open for fishing, but clearly the contractor needs to have priority in terms of access to areas where they need to be working – and for safety reasons members cannot fish them at the same time. As you may be aware, work has started at Preeswood. Real progress is being made, see our updated webpage for details/photos. 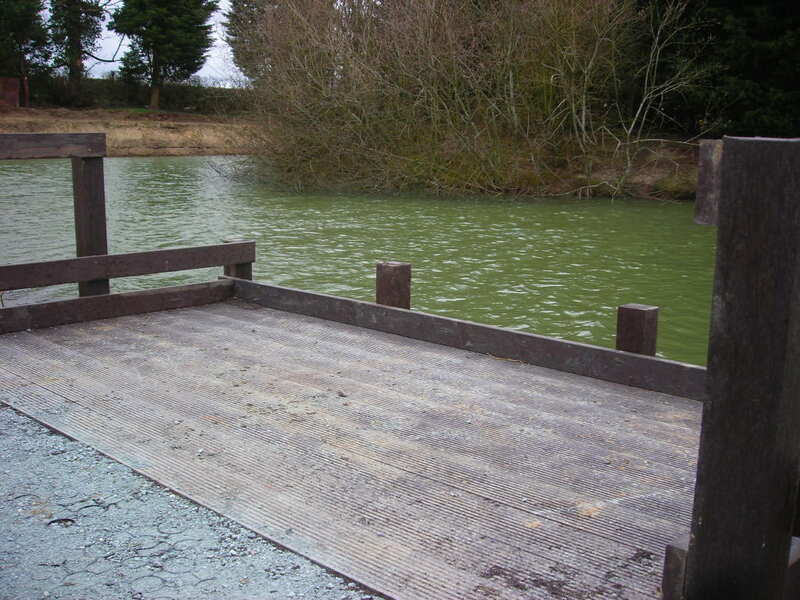 A spell of good weather means that the planned re-stocking, of Hammerlsey Spring Pools with a range of silver fish and Preeswood with some carp, has been completed. We’ve just heard that our grant application to fund a new car park and access paths/disabled angler pegs at Preeswood Pool has been approved. This means that work can now proceed, the aim being to complete this before next spring. 1/ The water levels have returned to where they should be. 3/ The prison service team who have been cutting paths and clearing undergrowth at Ryley’s Pools are about to start work at Preeswood. http://www.hodnetanglingclub.co.uk/wp-content/uploads/2014/02/hodnet-angling-club-logo1.png 0 0 Richard http://www.hodnetanglingclub.co.uk/wp-content/uploads/2014/02/hodnet-angling-club-logo1.png Richard2013-08-21 20:46:512013-08-21 20:46:51Fished Preeswood Pool recently?